Finally, I think I’ve got the idea of Microsoft OneDrive, and it works! In principle, it’s very straightforward – OneDrive is a cloud drive, the size of which depends on how much you pay for it, but it’s at least 5GB for a free account. This then shows up as a local drive on your PC or Mac which appears in Explorer/Finder and which is synchronised with the cloud version. You can choose which folders to synchronise, or to synchronise all of them (which is the default action). Seems pretty simple. However there are some wrinkles and it’s taken me a while to work them out. How many Drives are One? I don’t have just one OneDrive, I have three: one for my personal account (which is free, and therefore 5GB), one for my business account, with which I pay for Office 365. This gives me a 1TB OneDrive for Business. And finally I have one provided by the company for which I’m doing some work at the moment – I’ll call this my “client” account. I suspect this is also 1TB, but given that it’s a 400+ employee company and it’s using Office 365 (O365) with Exchange in the cloud it may well have even more online space than that. A Windows 10 PC at home – my home machine – I login to this machine with my personal Microsoft account, but I’ve installed O365 using one of the five O365 computer licenses available to my business account. For a while I thought I had a fourth OneDrive. You see Windows 10 comes with a OneDrive app already installed, but unless you log in to one of your OneDrive accounts (at which point the icon shows a green tick on it), it works simply as a local drive, so it looks like it’s an entirely separate OneDrive from the others. However if you login, either when prompted on startup, or by right-clicking the OneDrive icon in the Taskbar (I logged into my personal OneDrive on my Windows 10 PC) then it synchronises with that OneDrive in the cloud, and what appeared to be four OneDrives now become three. Can I access more than one OneDrive simultaneously? So, how do I access multiple OneDrives at the same time one one computer? The answer isn’t obvious. Initially I expected I could simply add multiple connections. But it’s not that straightforward. The easy way is to go into one of the O365 apps (I’ll use Word as an example since it’s easy – Outlook is similar but much trickier to do) then I can add the other OneDrive accounts. I launch Word 2016. On Windows I click on the “File” menu, (no need on a Mac – the first presented view is fine). There’s an “Open” option in the left-hand menu. Click on this, and one of the options offered is “add a place” – and that’s where I connect to my other OneDrive accounts. I can click either OneDrive (to add my personal account) or OneDrive for Business (to add either or both my business or client’s account) – I enter the credentials and there are all the files. So I can open any Word documents that are stored in any of my three OneDrives. The same works for Excel, PowerPoint, and (with a bit of rooting around in the menus) Outlook 2016. In Outlook you’re looking for the “Office Account” menu option under “File” rather than “Open” which tries to open another email account. This all works beautifully if the only documents I want to use are Microsoft files. So I can browse all three OneDrives looking for Word documents in Word, or spreadsheets in Excel. But I also use some other apps, specifically Adobe Photoshop, Acrobat and InDesign. All my Adobe documents are stored on my client’s OneDrive for Business. How do I access them from home so I can work on them remotely? Or do I have to give in and use Adobe’s document cloud for my Adobe documents, and Apple’s iCloud for my Apple files? Or do I abandon all of these entirely and use a third-party cloud such as Google or Amazon? The answer is you can do it on a PC, but I haven’t found any way of doing this on a Mac. On my PC if I go to the Task Bar (conventionally bottom right) and right click on the OneDrive icon, and click “settings” I’m presented with a bunch of tabs. If I click the “Account” tab then there’s an option to “Add an Account” – by selecting this and logging in with another OneDrive set of credentials I can create a second OneDrive on the PC – in my case for my business drive. Et voilá – I can now access all the files on that OneDrive, not just the Microsoft ones. After working this section out for myself, I found a useful Microsoft Support article that covers this. 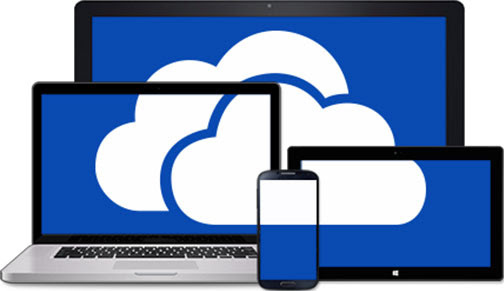 Repeat for all other OneDrive accounts and you have access to all your files on a Microsoft OneDrive, whichever it is. Trivial. Download OneDrive for iPad from the App store. Log in with one of your OneDrive/Office365/MicrosoftLive accounts. In the top left corner you’ll see a little icon of a person. Click, select “Add account” and log in with another, and another. If you’ve already downloaded (and activated) your O365 apps on the iPad then it all just works. Seamlessly. Why isn’t the Mac version this easy?